New Japan Academy was founded in 1982. Since then we have been teaching students from all over the world. Currently there are 675 students from countries such as China, Vietnam, Malaysia, India, Korea, Indonesia, Myanmar. We have been selected as *Appropriate School by Tokyo Regional Immigration Bureau and maintains the Visa obtainment rate of 97%. *Appropriate School has less than 3% of International students remaining illegally in Japan after their rightful stay in the past one year. What are the lessons like at NJA? At NJA we have homeroom teacher for each class so each student can receive a private consultation with their progress and educational advancement. Briefing sessions are given regularly for elective courses as per students’ requirements for university entrance exams. Along with this, examination preparation specific to the student’s choice of university is offered which includes interview training and essay writing. NJA students go on to study at prestigious Universities such as Waseda University, Chuo University, Rikkyo University, Hosei Univeristy and etc. What’s the school environment like? Fussa is blessed with beautiful nature and diverse cultures. It‘s only an hour train ride to Tokyo Station. The essentials of life such as supermarkets, drug stores and etc. are all conveniently located within the vicinity. Is part time job allowed outside of class hours? First of all, for you to be eligible to work in Japan you need to apply for and obtain a permit: “Shikakugai-katsudokyoka” (Engaging in Activities other than Status Qualification), a Permission to Engage in Activity Other Than That Permitted Under the Status of Residence Previously Granted. Once obtained, you can work up to 28 hours per week. 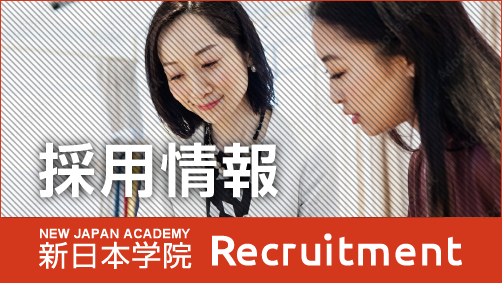 NJA not only provide you with part-time job listings but also give you instruction on resume writing, interview technique, guidelines around taking up part-time jobs in Japan. We try our best to find a safe working environment for the enrolled students as well as newly arrived students. Tell us about the dormitories. You can start your student life in Japan on the day you arrive. All our dormitories are set in earthquake resistant buildings which are a 5-min walk from the nearest station, and a 10-min walk from the school. Furnished with bedding, air conditioning, refrigerator, TV set, microwave oven, free Wi-Fi, kitchen and unit-bath, our dorms are well maintained to keep you safe and comfortable. What do we do when we need assistance while in Japan? It’s our mission to provide best in Japan support to each of our students. Our services include airport pick-up, orientation at the dormitory, preparing meals and getting in touch with the parents back home. There is also support for obtaining the alien registration card and Japanese national health insurance and opening a bank account for new students. Installing suggestion box for collecting students’ opinions, inspecting the dormitory and giving advice on a part-time job are all part of teachers daily tasks. Throughout the year, there are events other than the core study of the Japanese language such as; Sports festival, school excursion, BBQ at Mt. Fuji, and also are chances to experience Japanese culture through sessions in flower arrangement and tea ceremony. With our educational philosophy, Study Japanese and become international professionals, students will have many opportunities to interact with teachers and friends outside of their daily activities. These experiences, in turn, enrich their student life tremendously.